Heeft u een vraag voor Zoe Private Pool Villas Canggu Bali? 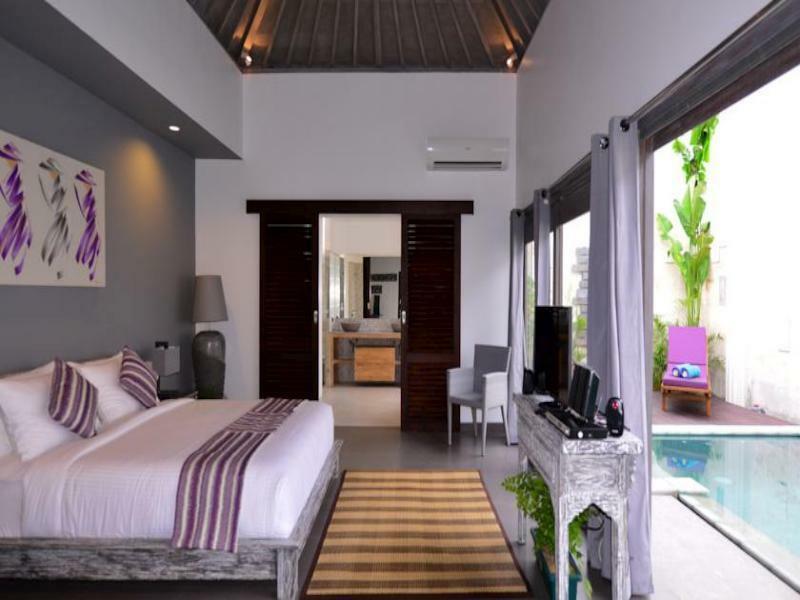 Gelegen in het hart van Canggu, is het Zoe Villa Canggu Bali een ideale uitvalsbasis om Bali te ontdekken. Vanaf hier kunnen gasten genieten van eenvoudige toegang tot alles wat de levendige stad te bieden heeft. Dankzij de praktische locatie liggen alle belangrijke trekpleisters in de buurt van het hotel. 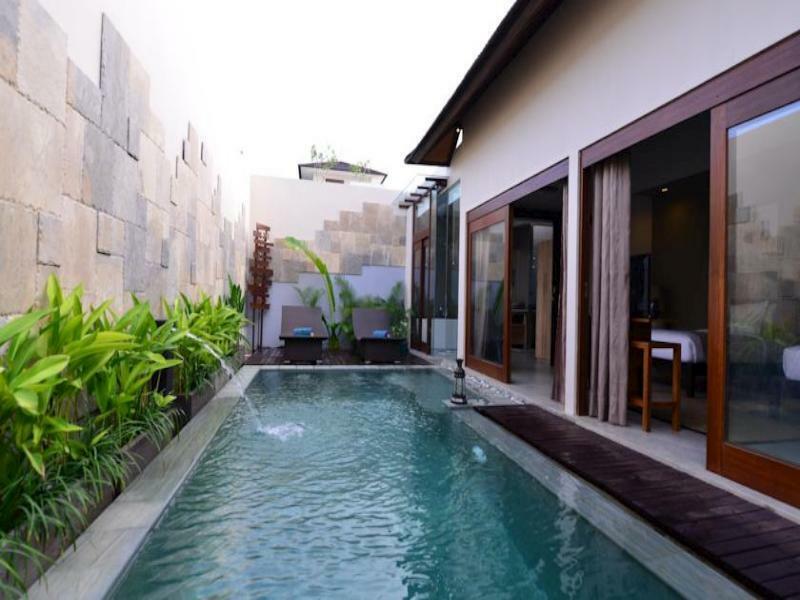 De faciliteiten en diensten, geboden door het Zoe Villa Canggu Bali, garanderen een plezierig verblijf voor gasten. Enkele voorbeelden van faciliteiten die dit hotel biedt zijn gratis wi-fi in alle kamers, snel in- en uitchecken, bagageopslag, wi-fi in openbare ruimtes, parkeerplaats. Ervaar kamerfaciliteiten van hoge kwaliteit, inclusief plasma tv, gratis welkomstdrankje, beddengoed, handdoeken, kledingkast, om tot rust te komen na een lange dag. De complete lijst met recreatiemogelijkheden is beschikbaar in het hotel, inclusief zwembad (buiten), massage, tuin. Ontdek een boeiende mix van professionele dienstverlening en een breed scala aan faciliteiten in het Zoe Villa Canggu Bali. The villa is spacious and you'll have kitchen, bathroom, bedroom. swimming pool all separated. The cleanliness can be improved and maybe they should do a renovation. They allowed me to pay for late check out. Will definitely be back! Pros: Zoe villa has a big private pool, high ceiling in the room, bed are comfortable, the toilet is big and clean. Location is very convenient to everywhere in canggu. It serves good breakfast with very affordable price. Cons: Shower water pressure is minimal, wifi signal is weak, the fan in the dining area is not working, some light bulbs are out and wasnt changed. The shower handle at the pool area is stucked at most times. The location is fine. Not isolated and its just along the road with restaurants and cafes within the walking distance from the villa. It is about 40-60mins drive as there is mostly some heavy traffic. The things I like is the space the villa has and the private pool which is bigger than most other villas. Another thing i like is the small cafe/restaurant they have just beside the villa. The food was delicious. I had the beef burger and it was one of the best I had. The pulled burger and the Fish&Chips were ok. Though they have a kitchenette, it is not provisioned with the utensils. But they will immediately bring plates, cups, bowls, forks, spoons and knives to you if you ask them. There are mosquitoes. Though the villa provides the electric insect repellent, I was still bitten throughout in the 1st night. I went to buy some mosquito coils and all were ok from then onwards. The villa should provide the coils as it is more effective. We picked this as a special mother/daughter stay for one night in Canggu, a little tricky to walk around Canggu, really need transport, was close enough to walk to a breakfast location. Villa was clean and tidy. Was a little confused with the lack of privacy sceening in toilets/shower area. Great value for a one bedroom pool villa experience though. Would recommend for value. Friendly staff assisted with check-in and several requests from us were promptly attended to. Awesome pool and room with a huge bed. Perfect location with lots of cafes along the same stretch of street, but they have their own cafe which deliver the food straight to our doorstep. Will be better if the construction behind the villa is completed, had a few occasions of strong construction hammering and drilling. Great place in a conveniently located part of Canggu. It’s basically a massive hotel room with your own pool attached and an outside covered kitchen space. Ideal if you’re bored of hotels but don’t want the hassle of having a whole villa to manage if there’s only one or two of you. Need mosquito spray for the night but not a big issue. Cute and instagramable for the ladies. We’ll go back. We stay for a week here. The room, facilities and pool were awesome ! As seen on picture and worth every penny! :) We got some AC’s problem but their staff are very helpful and fix that problem right away ! They got little cafe that provides some delicious food with affordable prices. We enjoyed our stay here and ensure to stay for more in future ;) thank you ! I chose Zoe Villas for its private pool and was not disappointed when I reached. 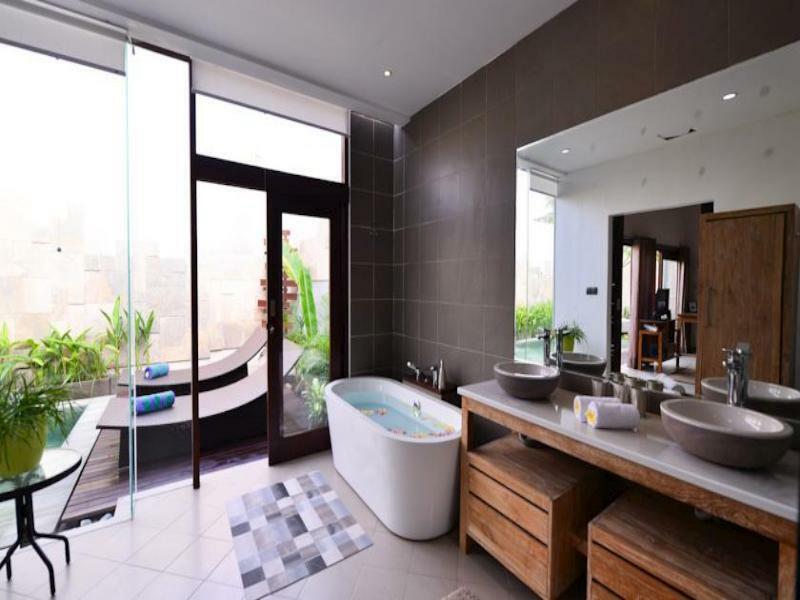 The room is clean and spacious and the pool is as amazing as shown in the pictures. What you see is definitely what you get. The staff working at Zoe Villas are the friendliest people I have come to meet in Bali. It is also situated right next to Hungry Bird Coffee Roasters which serves extremely good coffee. Hop on to one of the scooters that are up for rental at the villa and you're good to go. I will definitely be back here the next time I'm in Bali. Staff are friendly and the food is amazing! I was looking for a villa with a private pool to wind down from a long trip. I found Zoe- but they only had one night availability. I took it, hoping that I would be able to extend somehow. I was so wowed when I got to the villa. Just the walk to the room is unreal- so beautiful with plants/greenery. The room is huge! Very, very clean! It’s nicely secluded so you get a lot of privacy. The owner was there during check in/out, and both he and the ladies at the front (Mira) were just wonderful. I am still confused why this place got anything less than a perfect score. The cafe next door adds an extra touch for late travelers (like myself) who don’t want to go out to eat. Food is delicious and very affordable. Since I loved this place so much and wanted to stay longer, they offered me a room in their sister villa. It is spectacular. I wish I stayed here all through my time in Bali. I can’t recommend both villas enough. Best place to start and end a trip! Worth every cent. It was quite hard to find this villa initially but lucky we managed to find it. It was located at Canggu - a quieter area. The private pool access is a plus point though we did not use it everyday as the water was cold. Room & toilet were spacious & neat but the floor especially the floor in the kitchen outside the room area seem quite oily & dirty but it's still bearable. Good idea to have a water dispenser instead however limited amenities were provided. The pool, the bed, the quiet. Mixed experience. It started really bad, since they, or Agoda, screwed up our reservation. They told us that we'd only be able to check in after 8 pm, while we reached the villa around noon! We didnt expect that, and they claimed it was because Agoda didn't send them our reservation in time. So they sold what was to be our room to the current visitor till 8 pm as they had requested a late checkout. They were nice and apologetic about it, and wanted to make it up to us. In the end, they gave us a dinner voucher at a spanish restaurant. I feel perhaps a refund on the first night would have been more appropriate. Anyways, besides the bad start, the villa itself it pretty clean and comfy, with usual wear and tear in the doors and fittings but that is to be expected at this price range and location. Get villa 10 if you want total privacy as it is right at the end and you won't be able to hear anything but the sound of birds or just the pool jets all day long. Location wise it was ok, near enough to food and marts. Use a gps, you won't get lost in canggu anyway. it was amazing. for the price you pay, u got every value. i personally prefer more quiet stay however, bike and car ride would only take 10-15mnts to reach downtown area. no mosquito (1 or 2 but not a big problem at all) no wild life animal ie: insect etc. private pool, the bed, pantry, shower are all clean. my only input for the villa is it would have been amazing if they could provide more towels. The friendly staff , the clean villa and the quietness. Our stay at Zoe villa was great. The staff at the reception and kitchen were very friendly . Villas were clean and tidy. Bikes can also be rented from the villa. The only down side is the location because it's far from Kuta or semiyak, 30 mins drive. The kitchen closes at 9pm so better stock up food or drinks in the fridge. At night , minimarts are far away and it's dark so that's the only downside , besides that , the stay was great ! The villa was beautiful and the service was good and quick! It is important to note that they only supply the bare minimum in terms of toiletries/amenities but that things like hairdryers and ironing boards/irons are provided upon request. The breakfast is pretty good and cheap! The only issue is there is not a lot to do around the area and the beach is about a 15-20 minute walk on the road (not very safe!). Nonetheless, for the price we paid, I thought that this villa was very worth it! Friendly staff at your service. Villa was big n clean. Totally enjoyed e stay alone. Can rent a scooter from them to travel around. E beach nearby is quiet as it is more for e locals, not recommended for ladies to go there alone as i almost got robbed there in broad daylight. Overall a very good stay! !